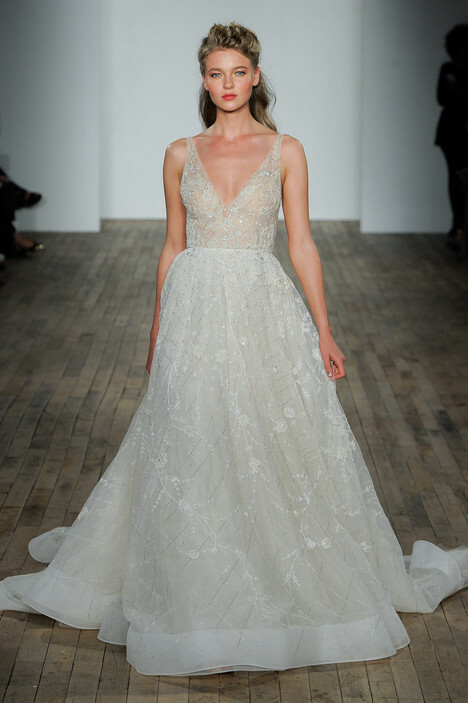 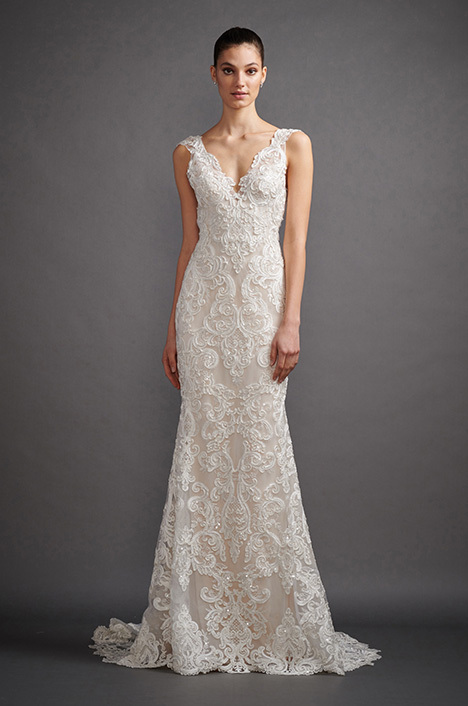 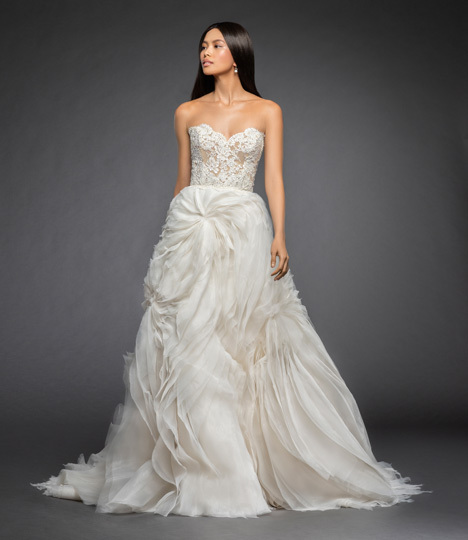 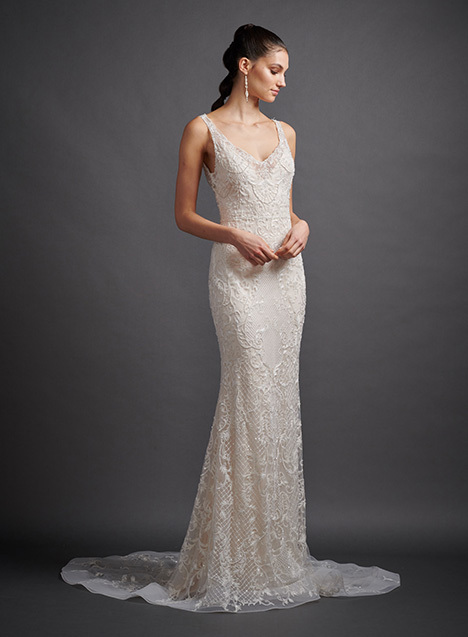 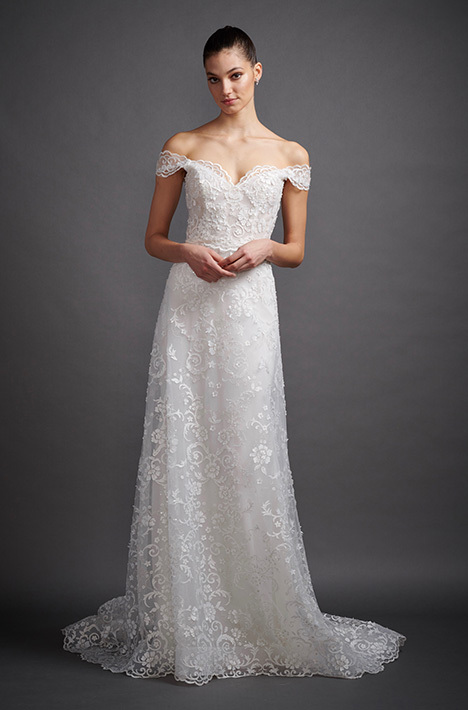 "Lazaro’s collection is a sumptuous mix of dreamy romance, timeless elegance and just a sprinkle of diva glam. 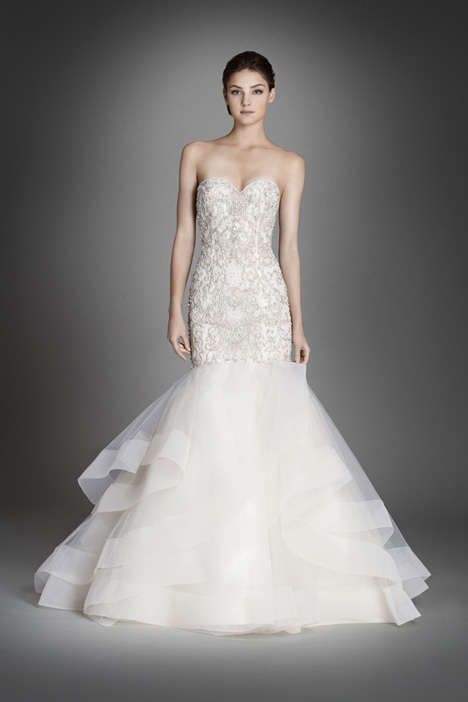 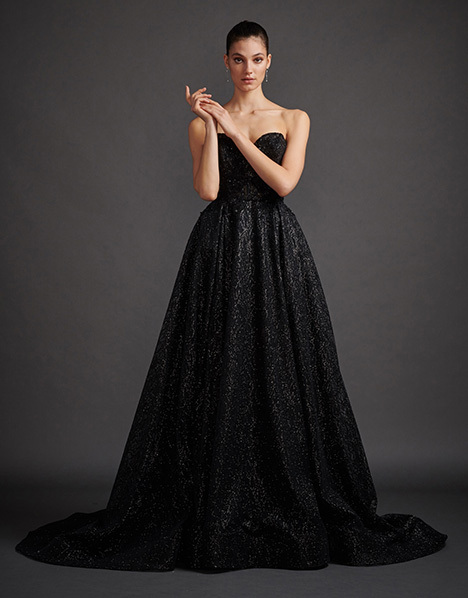 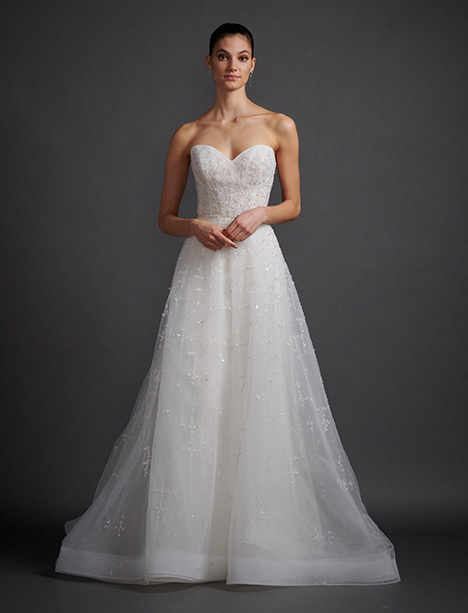 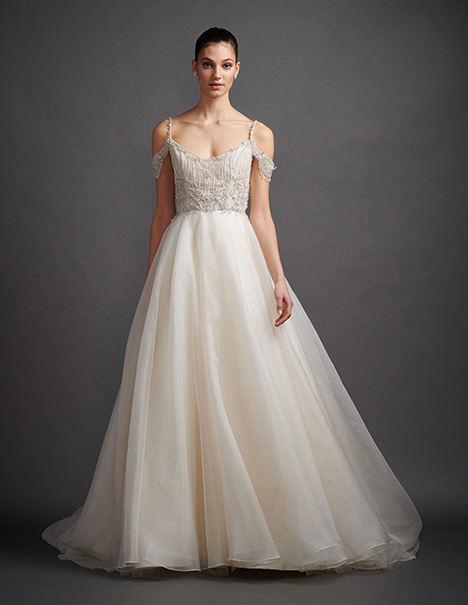 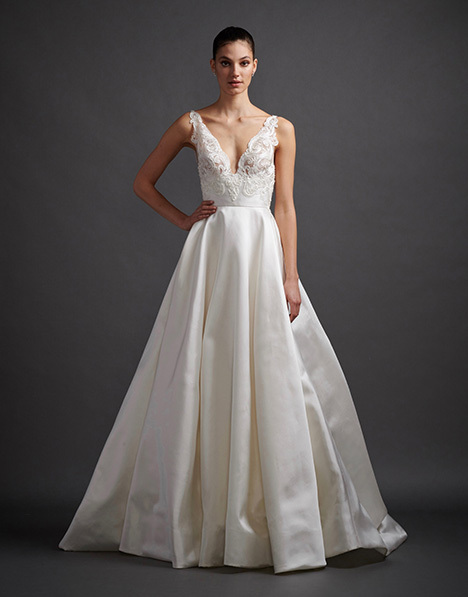 Designed to enchant and seduce, Lazaro creates frothy ball gowns to sculptured trumpets. 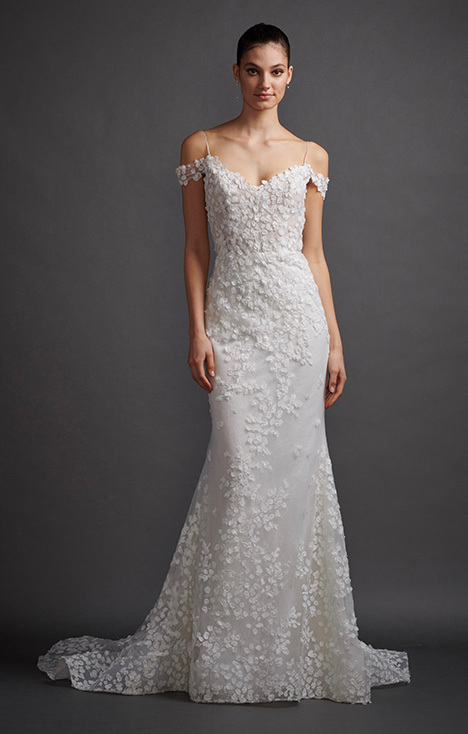 Goddess gowns in luxurious fabrics shimmer and bedazzle, as modern florals with botanical motifs capture a brides love for the romantics. 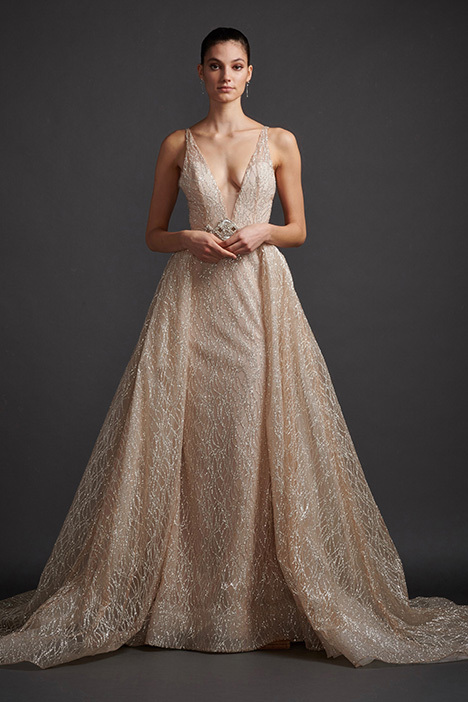 Metallic gowns that sparkle under shimmering net and layers and layers of luscious lace for tempting textures. 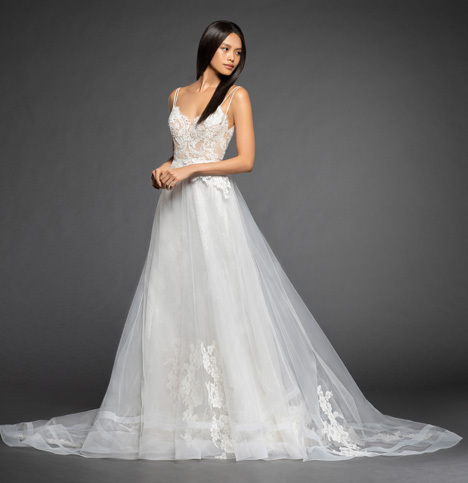 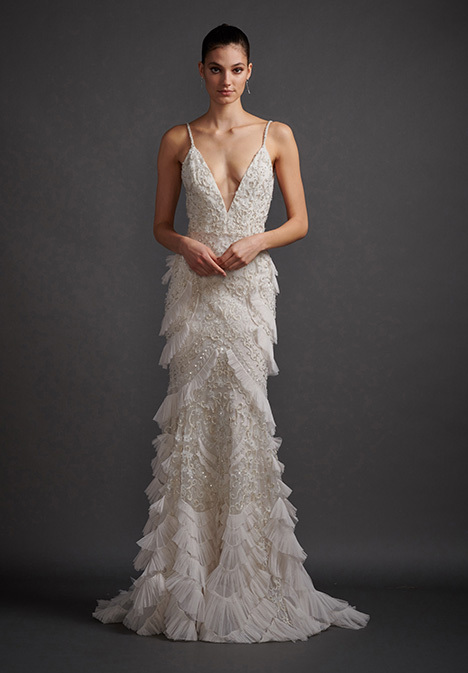 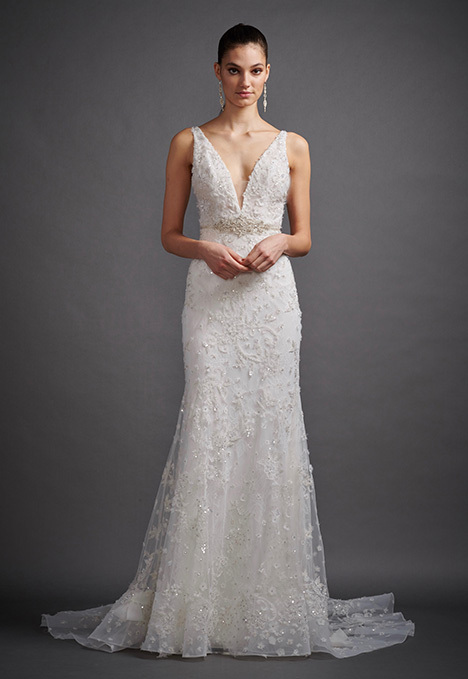 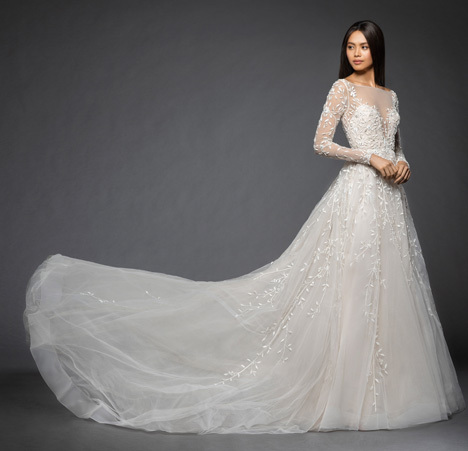 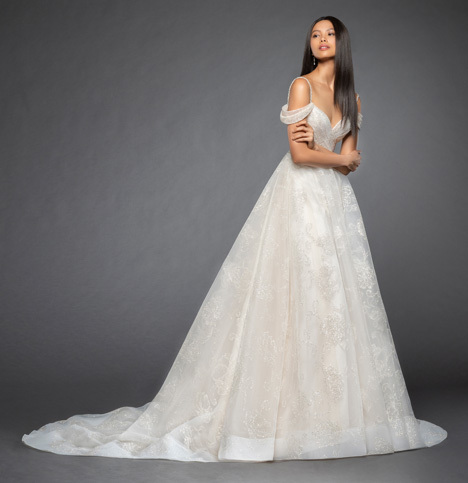 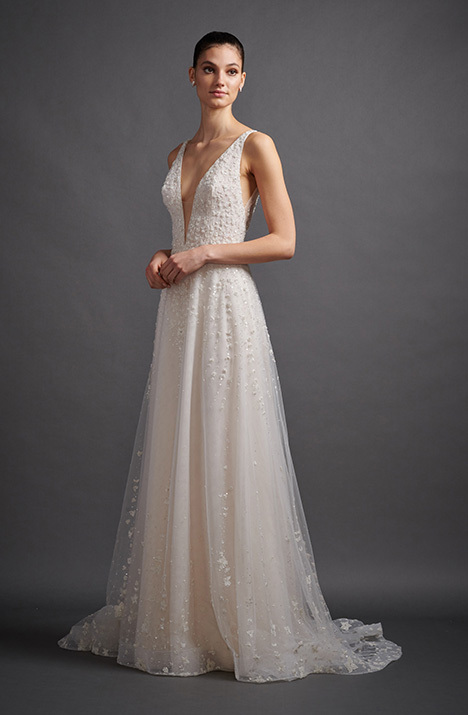 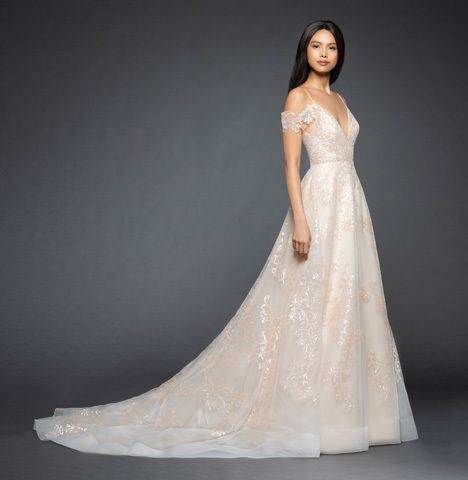 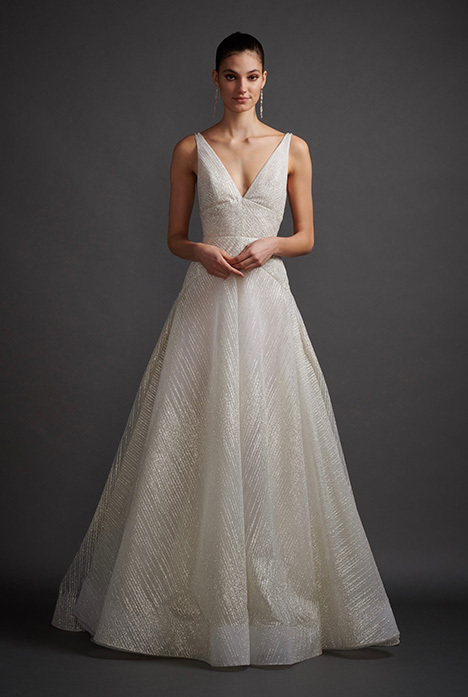 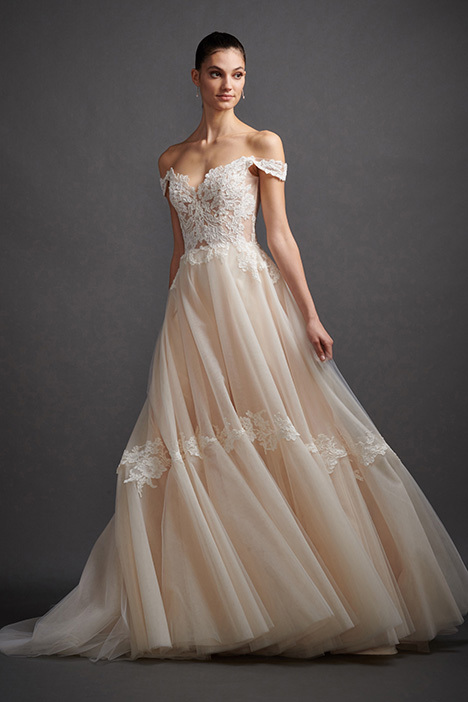 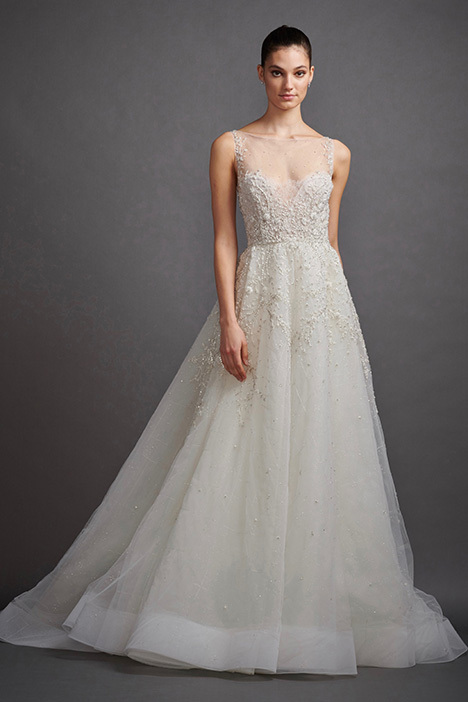 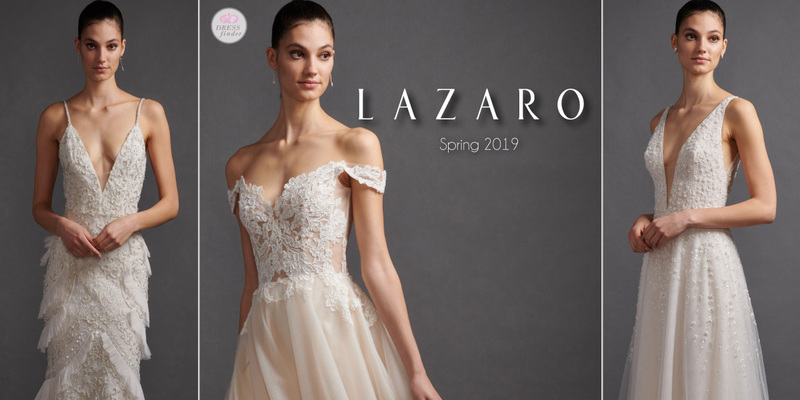 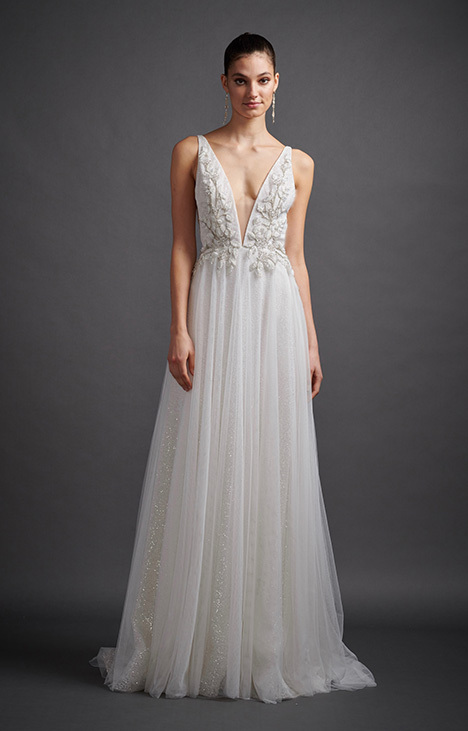 Lazaro creates perfection for a bride’s evening under the stars, an opulent ballroom bathed in golden light, or a magical destination far far away."